I've got a house full of hungry teen girls. I order pizza via the Domino's web site. 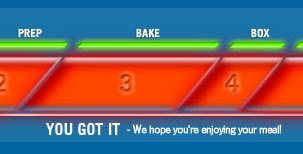 The Domino's Pizza Tracker is displayed after submitting my order. It shows the status of our order as the pizza is prepared, cooked, boxed, and delivered -- or at least it gives the impression of tracking an order. 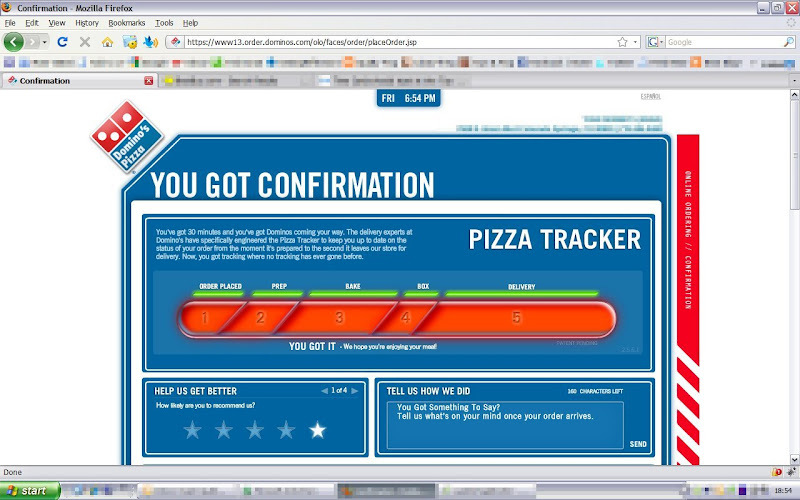 Most of the time, this tracker helps give us a good idea of when the pizza is going to arrive. However, this time it jumped from a status of Bake to Delivery about 12 minutes after placing the order. It says "YOU GOT IT - We hope you're enjoying your meal!" when no delivery person has yet arrived at the house. The pizza is likely still in the oven.